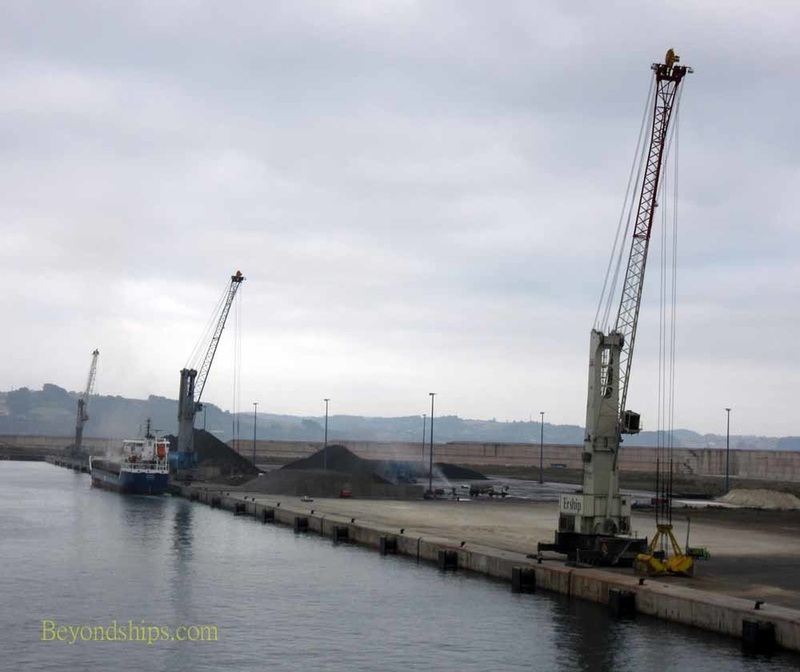 Cruise ships dock in Gijon at El Musel, a port area created from reclaimed land. The area is protected from the sea by a very high sea wall. It is essentially undeveloped, a vast flat field with no buildings. Nearby, commercial ships off-load coal resulting in black piles that break up the plain. It is a deep harbor. In addition, the quay is a long open expanse. 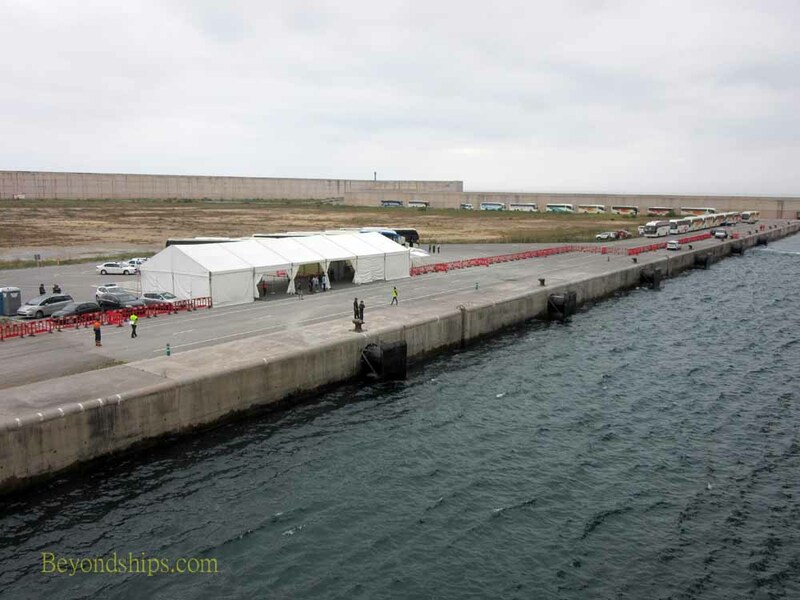 Thus, very large cruise ships can use this port. There is no cruise terminal building. A tent serves to provide shelter for passengers and security operations. A tourist information desk provides maps and guide pamplets. It is much too far to walk into town. Shuttle buses, however, provide all day transportation into the city for a nominal fee. They drop off and pick up passengers on the promenade near the old town. The ridetakes between 20 minutes and a half hour. Taxis looking for fares often wait in the parking lot outside the tent. Above: Navigator of the Seas at the cruise port in Gijon. Below: The port also handles commercial ships.